Beautiful Accounting Software. Invoices, purchases and client contacts automatically transfer to Xero from WorkflowMax. The WorkflowMax time widget allows support agents to enter time against the ticket they are working on. Upload a document in WorkflowMax and have it automatically push into Box. Great for collaboration and cloud storage. Your frontline tool for collecting time and attendance data. Deputy is an employee management app that makes it easy for a business to schedule employees. Better Scheduling gives you the power to organise, reschedule and update WorkflowMax from your Google Calendar. PlanRight enables the transparent optimisation of capacity and workload for you and your staff via drag and drop functionality. Learn more about how PlanRight and WorkflowMax below. 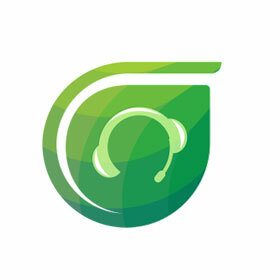 Seriously good accounting software on Mac or PC. Export sales invoices, jobs, job sheets and purchase orders via CSV file into MoneyWorks. Beautiful, feature-rich time-tracking app that integrates seamlessly with WorkflowMax. Track time without breaking your creative flow from within the Adobe Suite, then add to your jobs in WorkflowMax. With Actual, you can log your time in WorkflowMax without having to sign in! Timeslice is a great time management tool for teams of any size. It clearly shows your week’s entries in a unique calendar view. An efficient and affordable time keeping app, managed through one simple window. Time tracking and time management software that includes website and application analytics so you know exactly how productive your employees are. Combine a powerful CRM and Marketing platform with WorkflowMax and get your sales and production teams talking to each other. 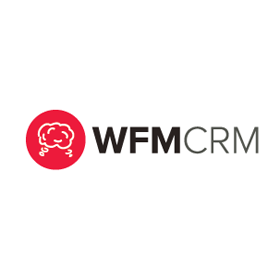 WorkflowMax now connects to Salesforce, the most powerful CRM software in the world. Track your time from WorkflowMax against open support tickets in Freshdesk to streamline your helpdesk admin. 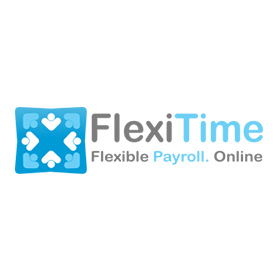 If you’re a small/medium business, then combine this powerful online payroll system with WorkflowMax timesheeting for an effortless payroll. FORMbasic will streamline lead capture automation by sending all lead information gathered from your website directly into WorkflowMax. Import your timesheeting information from WorkflowMax into this cost-effective, easy-to-use payroll system, designed with SMEs in mind. Save time and improve the accuracy of your payroll with this clever application. No doubling up - you can import data directly from WorkflowMax. Combining SimplePay with your WorkflowMax account makes payroll...well, simple! Exsalerate CRM provides a unique combination of Sales and Account Management tools to help you maximise the lifetime value of your customers! 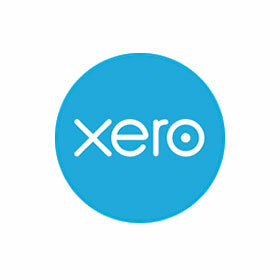 Xero and WorkflowMax can work with Smooth Pay to ensure a seamless flow of data from jobs to payroll to accounts. This popular cloud storage provider saves and shares large files with clients and staff through WorkflowMax. Share documents from Google Drive with jobs on WorkflowMax and collaborate with clients and team members. Seamlessly bring together your client data and files through WorkflowMax and SuiteFiles. Sync your documents and generate files with client info. Sync all client and job details between WorkflowMax and Ferret document management system. 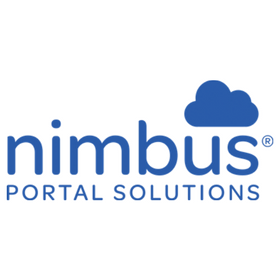 Effortless integration with Nimbus Portal Solutions for Cloud Document Management. Find out how. Receipt Bank helps businesses save valuable hours by pulling information from receipts and invoices quickly, accurately, and efficiently. Consolidate data from Xero and WorkflowMax into stylish, useful business reports. Consolidate data from WorkflowMax and Xero into one easy to read dashboard. Xero is beautiful accounting software. WorkfowMax offers the best integration with Xero accounting of any available app. Enter information into one system, and it pops through on the other - automagically. When you create an invoice in WorkflowMax, you can push that data through to Xero. Receipt supplier invoices against purchase orders in WorkflowMax. These invoices are automatically pushed to Xero ready for payment. Your job costing is complete, without you doing a thing. Data moves between Xero and WorkflowMax with a single click. Eliminate unnecessary data entry and spend your time on more important tasks. Get an accurate view of your business as invoices, purchase orders, contacts and payments move between Xero and WorkflowMax. With Xero and WorkflowMax integrated together for your business, you have a powerful, end-to-end business solution at your fingertips. 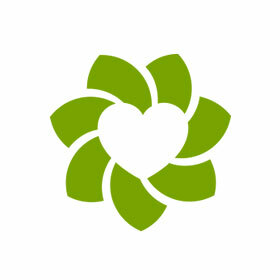 Zendesk is a beautifully simple customer service platform designed for service-based businesses such as IT companies. With Zendesk and WorkflowMax working together, your helpdesk team can input time directly from their support tickets into your time billing solution by the agents while working on a trouble ticket. See exactly what’s going on in your business from one simple interface - from Job Costing through to your cashflow and management accounts. Eliminate double-entry: All your time-tracking data flows between WorkflowMax and Zendesk. Create your invoice with a single click and watch your data flow effortlessly through into your financial accounting system. 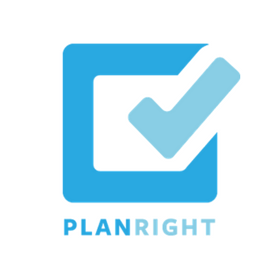 PlanRight is a powerful add-on for WorkflowMax and Xero Practice Manager. It enables you to become an expert in managing capacity and workload for you and your staff. Enter your jobs and tasks in WorkfowMax, then allocate time to your staff in PlanRight. See the capacity of one or many of your staff at a glance. See the impact on your staff’s schedule and capacity of new jobs. Wasted time is wasted money. Easy re-allocation of work between staff members by drag and drop to ensure all the team are at 100% capacity, not more or less. 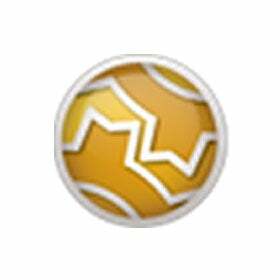 Data moves between PlanRight and WorkflowMax with a single click. Sync’ing of data can be automatic or manual. The week planner allows you to schedule jobs and tasks using a drag-and-drop calendar, with full visibility of your team’s workload. The month planner allows you to prioritise work for each month. A quick glance at the capacity worm will show you exactly how much work has been planned and completed. The year planner allows you to allocate work to staff, then plan it over the whole year. Tasks are split into ongoing (i.e. support), fixed (i.e. a GST return that must be completed in a month) and variable (flexible timing). With PlanRight and WorkflowMax integrated together for your business, you can become an expert manager of capacity and generate more revenue by maximizing capacity management. Let’s be honest - filling out time sheets is a total drag, and if you have to break your creative flow to track time, you lose focus. But you need to track time so you can accurately bill clients and get paid for ALL the work you do. That’s why we developed an awesome widget that you’ll love. 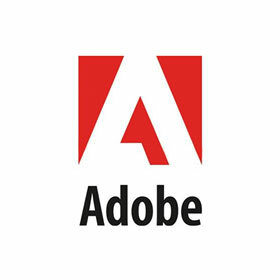 The Adobe Time-Tracking Widget plugs directly into the Adobe Creative Suite - so you can track your billable time from your own creative working space. Add, edit and delete a timesheet at your convenience. Now you can record accurate data for billing and better business decisions, without breaking your focus throughout your creative thinking process. Find out more information on getting started. Built by Blirt Labs in Australia, this integration connects WorkflowMax to Salesforce, the world's most powerful CRM software in the world. Now, you can quickly convert opportunities won into jobs and manage your entire sales and production process with a few clicks. Push accounts/contacts in Salesforce to clients/contacts in WorkflowMax – maintaining one global database of contacts for easy searching. Create a job in WorkflowMax from an opportunity won in salesforce – no more double entry. Completely customize the integration to suit your business requirements. Exsalerate provides a unique combination of Sales and Account Management tools to help you maximise the lifetime value of your customers! Setup a sales process that is scalable so your team has a consistent approach to every lead, from their first interaction with your company through to closing the deal your team can recreate the winning formula every time. We also import quotes issued to existing clients to your pipeline and assign a follow up activity to the Account Manager. Exsalerate comes with a dedicated Account Management Dashboard to ensure your team nurtures your Clients and communicate with them regularly to maximise the Lifetime Value of your Customers! Add converted leads from Exsalerate to WorkflowMax with a single click. Create new Jobs and assign to the correct template and team member. Import Quotes for existing customers to the correct stage in your pipeline. Compare live sales data with each customer so you can identify the accounts that are growing and those that need your attention. Sync your websites contact form with Exsalerate to reduce data entry. Everything syncs automatically between Xero, WorkflowMax and Exsalerate. It’s easy to import your existing Xero and WorkflowMax clients into Exsalerate, you can get started in five minutes. 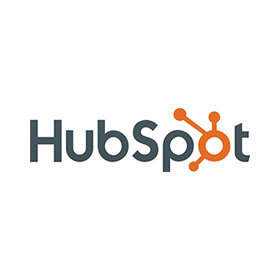 Go to the HubSpot / WorkflowMax integration tool by clicking here. Create a new account by entering your email address and password - it will be different than either your WorkflowMax or HubSpot login details. You only need to do this once while setting up the integration. Click ‘Connection Details’ on the left-hand menu. Then click on ‘Click here to authorise HubSpot access’ and follow the prompts on the pop-up box to authorize your HubSpot account . Click ‘Sync Settings’ on the left-hand menu. You’ll see three options to switch on or off using the buttons on the right-hand side. Create a job in WorkflowMax when a deal is closed/won in HubSpot - selecting this option means when a deal is closed or won in HubSpot, a job is setup in WorkflowMax automatically. This option only works with HubSpot CRM. If the deal is for a new company, it will also create or update the client and contact in WorkflowMax. Direct links are created in both the WorkflowMax job and HubSpot deal to take you to the corresponding job or deal. Please note that the app only syncs every five minutes, therefore sometimes it may take up to five minutes for a job to appear once a deal is closed. Sync HubSpot companies and contacts to WorkflowMax clients and contacts - selecting this option allows ‘Companies’ in HubSpot with a lifecycle stage of 'Customer' to sync as a 'Client' in WorkflowMax. HubSpot ‘Contacts’ associated with a company that has the lifecycle stage of 'Customer,' will sync to WorkflowMax as a ‘Contact.’ Again, this sync may take up to five minutes to appear. 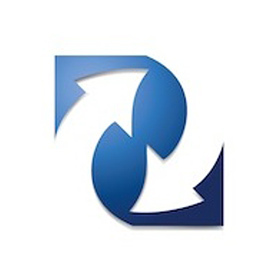 Sync WorkflowMax clients and contacts to HubSpot companies and contacts - selecting this option allows ‘Clients’ and ‘Contacts’ in WorkflowMax to sync with ‘Companies’ and ‘Contacts’ in HubSpot. System of Record relates to existing data records. Select your System of Record by clicking the button next to either HubSpot or WorkflowMax. If you select WorkflowMax as your system of record, and you edit a field in HubSpot that also has a value in WorkflowMax (e.g. a phone number), then that edit won’t override the existing value in WorkflowMax, and vice versa. Once complete, select ‘save settings’. Select Company/Client Field Mappings in the left-hand menu. Under Standard Mappings you will see which fields in HubSpot will sync with the corresponding field in WorkflowMax. Use the Add a New Mapping selector to add as many custom mappings as you need. Enter the HubSpot field name and the corresponding WorkflowMax field name, then click Add Field Mapping. Keep in mind that the app will only let you map compatible field types. For example, a text field needs to map to a text field, and a number field to a number field in both applications. If there is no compatible field available, then you will not be able to make a selection. For example, if you choose ‘Facebook Fans’ as a HubSpot field, you will not be able to add a corresponding field in WorkflowMax. The added field will then appear under ‘My Field Mappings’ with the option to edit or delete. Repeat this process for both Contact Field Mappings and Deal/Job Field Mappings by selecting the option from the left-hand menu and entering any custom mappings you need. You can come back to update or change these settings when required via this integration tool. Use Box - an online file-sharing and cloud storage solution - together with WorkflowMax to improve your document storage and management. Upload a document in WorkflowMax and have it automatically push into Box. From Box, you can utilize mobile document access, collaboration tools, document versioning, desktop synching, and more. A personal account includes 10GB of free storage, and business accounts start from just a few dollars per user per month for 100GB. Box integrates with a large number of apps that have a business focus, creating an endless-stream of useful features. 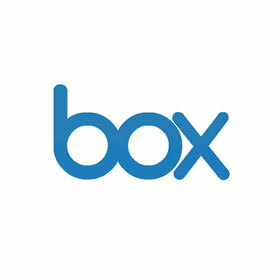 Box offers free version history retention for business and enterprise users. Deputy is an employee management app that makes it easy for a business to schedule employees and manage timesheets. By integrating Deputy with WorkflowMax, you can export your staff time and attendance data straight into WorkflowMax to speed up invoicing and payroll. Exporting your timesheets direct from Deputy into WorkflowMax will dramatically cut down on unnecessary double-handling of data. 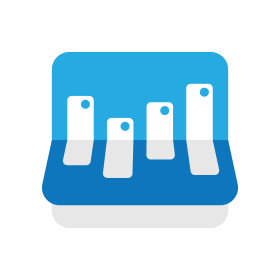 Configure your tasks and names within both WorkflowMax and Deputy to ensure timesheets are easily matched with jobs and tasks in WorkflowMax. Schedule with accuracy. Turn any task into an appointment with custom field mapping. Sync any custom field to your calendar event like start/end times. Keep your business on track and easily see which Jobs and Tasks are assigned to staff from a single view. Drag and drop scheduling makes organisation a breeze. Better Scheduling syncs in the background to keep all your staff calendars updated, and with 2-way synchronisation they can manage their own Jobs and Tasks. Allow your staff use their own mobile calendar app to reschedule, update or edit and add comments and descriptions directly from their Android or iPhone. This will save time and stress trying to log into WorkflowMax on a PC or Laptop and updating your Job or Tasks status. 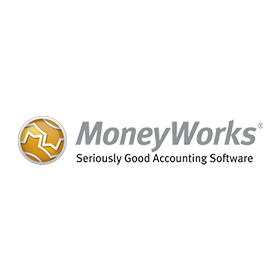 Get to really know your business with MoneyWorks - powerful accounting and business information software for Mac and Windows. As well as providing fast and timely financial and management reports, MoneyWorks can help you grow your business. Export sales invoices, jobs, job sheets and purchase orders from WorkflowMax to MoneyWorks, and streamline your accounting and reporting. It’s easy! You need your accounting software to fit in with your business processes, not the other way around. MoneyWorks is designed for maximum flexibility and interoperability. MoneyWorks has the power to give you better information from your business data. Better information will allow you to make better strategic decisions for your company. Better decisions will mean a more successful business. MoneyWorks protects the integrity of your data and provides concrete audit trails. No other software does better accounting. Created by Fuel Collective, Eon is a beautiful, multi-featured time-tracking app that integrates with WorkflowMax, as well as a range of other services and platforms. Eon will notice when you’ve been away from your desk, will allow you to switch between multiple projects, and basically any other function you could possibly wish for while tracking time, short of making your coffee or massaging your feet. Did your cup of coffee turn into a Die Hard marathon? Not to worry, when you eventually get back to work, Eon will helpfully notice you’ve been away and with just a click you can carry on from where you left off. Eon doesn’t limit the number of projects you can work on at any one time. Add as many projects and online services as you need and Eon will take care of the rest. Work smarter, not harder. With Actual for WorkflowMax, you can quickly and easily track time from your taskbar without having to sign in to WorkflowMax. See a simplified view of jobs, tasks and time throughout the day. Record time against jobs and tasks in our simple taskbar. You can easily change the time or date before posting, so your records will always be accurate. If you leave your desk, the optional “Idle Timer” enables you to subtract this time from your current task. From the Actual taskbar you can also add notes against a job. With Timeslice’s calendar view, you can easily see your productivity over the week and spot gaps in your tracked time. Timeslice syncs with your WorkflowMax account, so you’ll only ever see jobs, clients and tasks you’re assigned to. Favourite your regular tasks to make adding them to your timesheet even faster. Entering time is as simple as clicking and dragging. Or, start and stop the timer to automatically log your time. Simple indicators let you know when your entry has synced back to WorkflowMax. 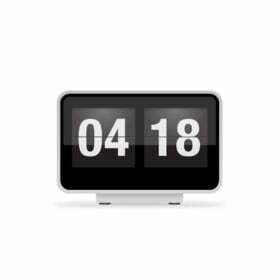 This tool was developed to help our designers with their daily Workflowmax project time keeping. It’s simple, efficient and affordable. Give it a go and send us your feedback, we’ll be sure to improve on it in the next update. Here are the essential features. Time tracking and time management software that includes website and application analytics so you know exactly how productive your employees are, every day. Time analytics software is more than just time tracking! 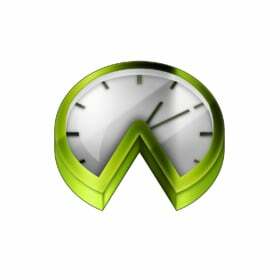 Integrate Time Doctor with WorkflowMax to accurately record how much time is being spent on specific tasks. Use Time Doctor to monitor your team’s computer usage in four key ways - task tracking, keyboard and mouse activity, screenshots, web and application tracking. All team members received daily reports of their own time use, and managers will receive reports for any team members that they manage. FORMbasic saves time you time by sending all leads that are generated from your website directly into your WorkflowMax account. Data entered at this stage can be now be carried throughout your sales process. Give great customer service by getting in touch with the client faster than your competitors. Automatic lead value estimation allows you to see how much each lead is worth thus allowing you to quote prospects more accurately. 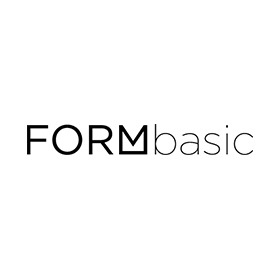 FORMbasic integrates perfectly with your website’s existing ‘contact us’ page. There will be no noticeable difference from the user’s experience. Keep those invoices flowing, and those customers growing! With the Freshdesk & WorkflowMax integration, you can now track time against working tickets, generate timesheets and invoice directly from FreshDesk. Eliminate confusion by supplying customers with a single invoice for all your services. Log time spent and even add notes in Freshdesk, and have all your info appear in WorkflowMax. Simple! 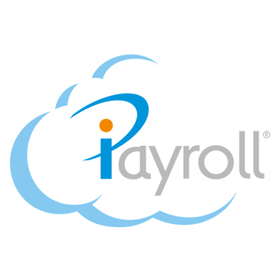 iPayroll makes payroll processing a breeze. 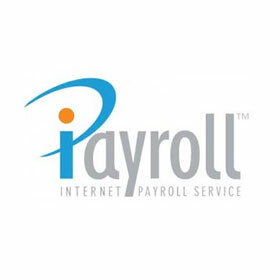 A cloud-based payroll service for NZ businesses, iPayroll keeps your records, does your banking and pays your staff, PAYE and Kiwisaver all in one go. The simple interface makes payroll a breeze. Staff pay, PAYE and Kiwisaver are automatic. Manage your payroll from any device, any time, from anywhere in the world. Set up payroll giving with ease - there’s no administration on this feature. Connect iPayroll with WorkflowMax’s timesheeting for a fully-integrated payroll experience. Import your timesheeting information from WorkflowMax into SmartPayroll, and take advantage of this great payroll processing software. 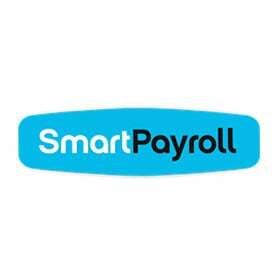 SmartPayroll can file directly with the IRD - no worries about legal compliance or expensive IRD late penalties. With a nominal monthly fee, SmartPayroll is a simple, affordable solution for SMEs. Seamlessly send your employee timesheets from WorkflowMax into FlexiTime to generate payroll for your employees - eliminating double entry, saving time and money. You can import data directly from WorkflowMax. 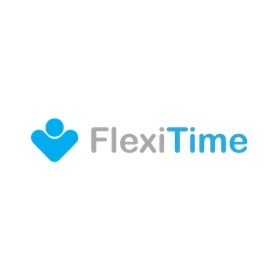 Enter timesheet details directly from your iPad or iPhone with the FlexiTime app. SimplePay is a cloud-based payroll system for Canadian-based businesses, making it easy manage employee scheduling, time attendance and payroll processing. Accurate employee timesheet data flows seamlessly from WorkflowMax through to SimplePay to make for easy invoicing. SimplePay’s flexible features and integration with other software allows you to grow from one employee to thousands. Your staff can log in to a secure self-service area where they can access their payroll history and submit their timesheets and expense reports. Make pay runs a pleasure with Mac Business Payroll. The software automatically calculates tax, student loan, child support and Kiwisaver deductions, and produces all the reports and online uploads you need to meet IRD requirements. MacBusiness Payroll has a simple clean, modern interface to make it fast and easy to navigate your way around. Customise payslips with your own logo or colours, or get us to design a payslip that fits your needs. Export banking transactions for your bank, accounting software, and for Inland Revenue. SmoothPay is a smart accurate payroll solution that’s compliant with the Holidays Act. Xero and WorkflowMax can be integrated with Smooth Pay to ensure a seamless flow of data from jobs to payroll to accounts. Unlimited entries per pay, per employee, and auto-reducing balance deductions for the Courts, WINZ, staff loans, IRD, etc. All your payroll data is instantly accessible, for any year, on any device, anywhere in the world. The Smooth Pay team are crazy about compliance. We will help you understand how to become compliant and how compliance makes your payroll easier. 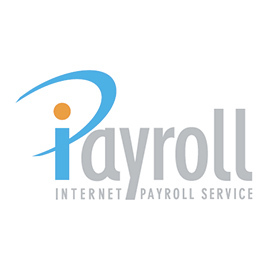 Online installation, training and desktop assistance will help you get your payroll running smoothly. With Dropbox and WorkflowMax working together, you can quickly and simply share files with clients. Store and share your files from any device, wherever you are in the world. 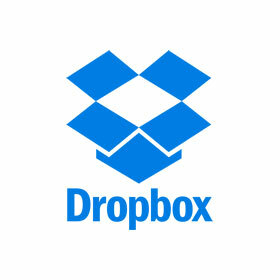 Dropbox offers free storage up to 2GB, with the chance to increase that up to 16GB free by referrring others. Dropbox offers comprehensive software to sync your files for Mac, Windows or Linux. With Dropbox's Packrat function, deleted files and old versions are retained indefinitely. View over 30 file types right in your browser—including HD video, Adobe Illustrator and Photoshop—even if you don’t have the program installed on your computer. Anyone using Google products is already set up for Google Drive, making it easy to install and operate. 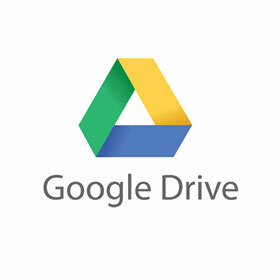 Google Drive helps you get to your files faster by recognizing objects in your images and text in scanned documents. Get going with up to 15GB of storage. Free. Save time and gain peace of mind when you work with SuiteFiles and WorkflowMax. Upload documents against a client folder in either system and they will automagically sync across both platforms. Minimise time-consuming tasks by creating templates for common documents or emails. Make them instantly available to colleagues and prepopulate them with client data from WorkflowMax. Access any Microsoft Office documents – Word, Excel, PowerPoint, OneNote – and edit them online through SuiteFiles or in desktop Office. Use SuiteFiles Outlook to easily manage your emails and client files straight from your inbox. Ferret is a document management system that allows you to view all documents and all correspondence relating to a client or job in WorkflowMax in one place. You’re able to get the full picture of a client or job, and retrieve any document or email in seconds. Ferret’s document management system is the missing link where all emails and documents are stored in one place. Continue to use WorkflowMax to track and manage jobs and clients, but add powerful document management functionality. As you update client details in WorkflowMax, they’ll automatically be updated through to Ferret. Ferret Software asked Eleanor Shakeshaft - director of Bain EMA (Western Australia) four questions about how WorkflowMax works with the Ferret Software - click here to read. Nimbus Portal Solutions is the all-in-one secure place in the cloud, where you can edit, share and sign documents with your Clients. Get true Cloud Document Management plus communication and client collaboration features such as digital document signing, email marketing, smart checklists and calendar appointments all via the Nimbus Portal. Nimbus Professional: The complete paperless office with Cloud Document Management integrated with WorkflowMax. Learn more on Nimbus Portal Solutions. Gregory Stott, Chartered Accountant talks about the workflow advantages of using Nimbus. ‘Getting clients’ documents filed is a challenge - getting them to sign papers is clumsy as they have to download, print, sign, scan and upload back to us. Nimbus Portal Solutions has digital document signing and it is a proper client filing system in the cloud.” Read the detail of his full implementation here. Receipt Bank is revolutionising bookkeeping for over 5,000 accounting and bookkeeping firms and tens of thousands of small business customers globally, using award winning AI and automation to help unlock the value of bookkeeping and real-time accounting. 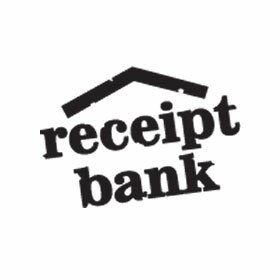 Receipt Bank has been revolutionising bookkeeping for small business since 2010. We pioneered automation in the collection and data extraction of receipts and expenses. Our award-winning artificial intelligence and automation technologies now help more than 5,000 accounting and bookkeeping firms and tens of thousands of small businesses across the globe create cost savings by unlocking the value of bookkeeping and real-time accounting. Backed by Insight Venture Partners and Kennet Partners we are signing up thousands of new customers every month and growing at more than 100% every year. Receipt Bank is a great app that stores receipts and turns them into data, which you can export to WorkflowMax. Simply submit receipts and invoices via email, post, or on your iphone. Receipt Bank extracts the company name, date, invoice number, currency, tax, totals and any other necessary data for your books. Use Receipt Bank to turn receipts and invoices into costs against your WorkflowMax jobs. 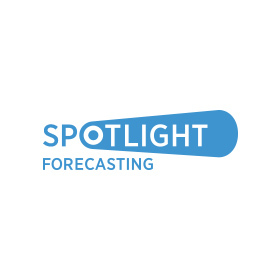 Spotlight Reporting puts the power of business intelligence at your fingertips. Create useful, attractive reports performance reports quickly and efficiently - helping you reach your goals faster. Spotlight Reporting will create an appealing report based on your data, and you can customise it however you like. Report on non-financial and KPI data for a broader view of your business performance. 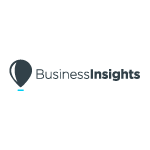 Zrilo's Business Insights platform provides a dashboard solution that gives you a single consolidated view of the key metrics across your business. Extracting data from WorkflowMax and Xero, and combining this into one, easy to understand dashboard, showing both operational and financial data. Make better business decisions with access to live up to date data anywhere, anytime. Access all your key business metrics on any device, including desktop,tablet and mobile phone. Easily customise the dashboard view to see the data that is most relevant to you in your business. Share your dashboard with business partners or your business advisor, making it easy for them to offer advice.